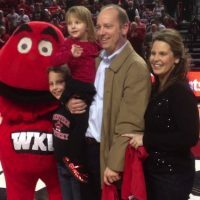 Meet Jennifer Brohm aka Jennifer L. Hawkins; she is the stunning, loving and incredible wife of coach Jeff Brohm. 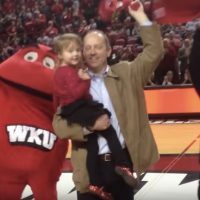 A former football and baseball player at the University of Louisville and Trinity high who also was the coach at Western Kentucky University before joining Purdue University in December 2016. 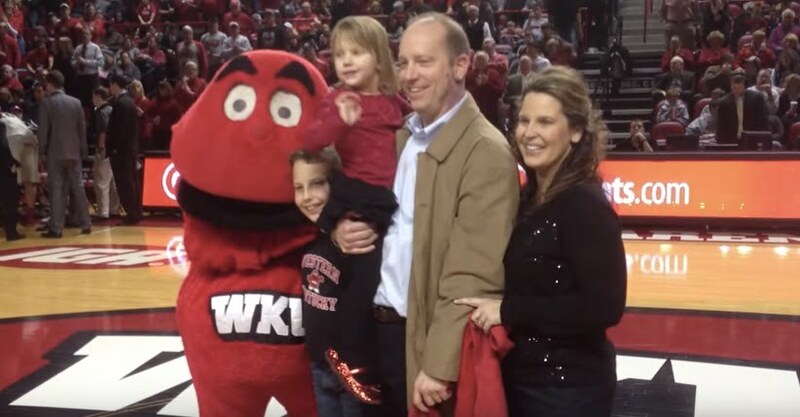 Mrs. Brohm University of Louisville.’s husband attended at Trinity High School and the University of Louisville. 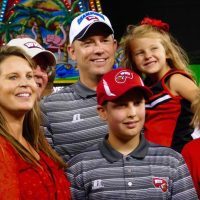 Prior to college, he was a star athlete in both of Trinity’s baseball (an important thing you should know is that he was drafted in the 7th round of the 1989 MLB Draft by the Montreal Expos) and football teams. He graduated with a business administration major Louisville and then headed to the NFL. Coach Brohm first played with the San Diego Chargers, second with the Washington Redskins, the Buccaneers, Denver Broncos before he closes the NFL chapter of his life with the Cleveland Browns. 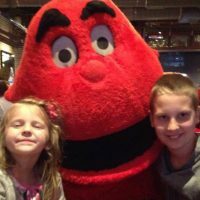 His coaching career started in 2002 when he was the head coach for the Louisville Fire arena football team. Named quarterbacks coach a year later. 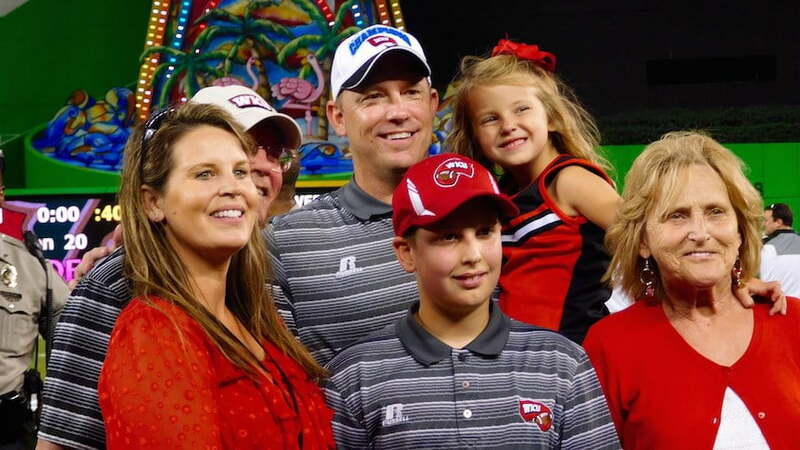 Hired as an Assistant Head Coach and Passing Game Coordinator at Louisville in 2007 before he became quarterbacks coach at Florida Atlantic in 2009. 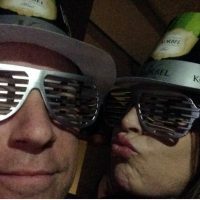 During the 2010-2011 season was coaching quarterback at the University of Illinois at Urbana–Champaign; then the following season became Offensive Coordinator and quarterbacks coach at the University of Alabama at Birmingham (UAB). 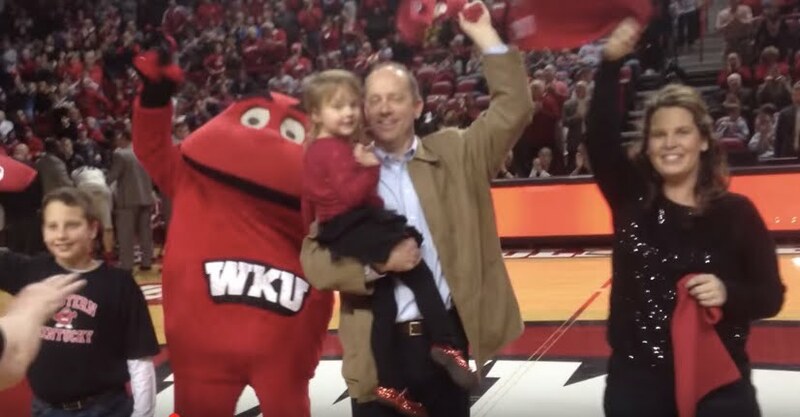 In 2014, Western Kentucky hired him as their Assistant Head Coach and Offensive Coordinator before naming him their head coach after Bobby Petrino was re-hired at Louisville. 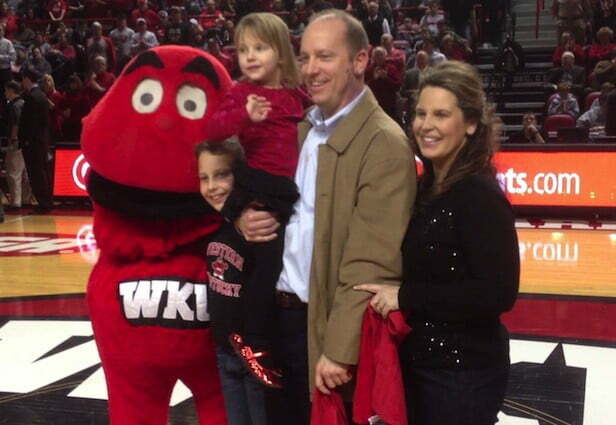 With all of Jeff Brohm’s info pretty noted, shall we tell you about his beautiful wife Mrs. Brohm? Jennifer Brown was born Jennifer L. Hawkins in October 1971. She grew up in Fern Creek, a community in Jefferson County, Kentucky. 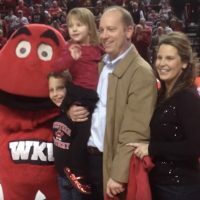 Mrs. Brohm met Jeff thru a mutual friend at the University of Louisville, where they had one class together, Biology 101. 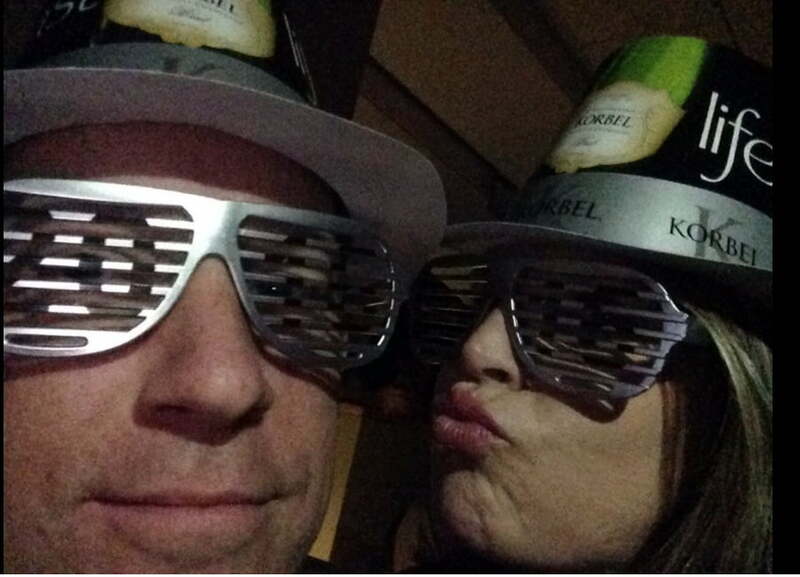 They got married in 2003 and have two children together, 11-year-old son Brady and a 5-year-old daughter Brooke.